Arturo Herrera Dj, Exponential Records, Las Cafeteras, Panama Cardoon, The Voodoo love orchestra and more. 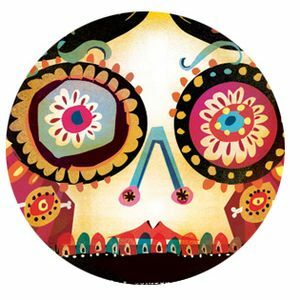 THE MEXICAN NIGHT OF THE DEAD RADIO SHOW - In conjunction and tradition here is the 4th radio show for the annual Rambunctious Mexican Ball on Nov 1st. Featuring our performers this year - VOODOO LOVE ORCHESTRA, PALOV AND PANAMA CARDOON. Tune in for a Mexican mix of Mariachi mash-up, festive freakiness and erm...Marigolds? !